Free facial deformities and cleft lip palate surgeries for underprivileged children. 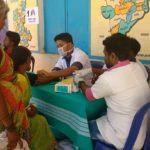 The TCF team works in synergy with National Health Mission and Government of Karnataka. Identifies children with facial deformities such as cleft palate, cleft lip, tmj ankylosis, facial clefts, hemangioma and vascular malformations through mobilization camps in Taluks and Districts. The treated children will be followed up for prognosis and other need based treatments such as speech therapy and Dental Treatments. What are Face Defects / Deformities? Face Defects / Deformities, also known as Facial Defects / Deformities are deformities in the growth of the skull and facial bones. These are congenital deformities (present at birth) and can be corrected by reconstructive surgery. Face Defects / Deformities can be Craniofacial Deformities (affecting the skull), Maxillofacial Deformities (affecting the upper jaw) and Dentofacial Deformities (affecting the bony structure and teeth). How do we provide treatments for Face Defects / Deformities ? The optimal time to seek surgical treatment for your child to repair Face Defects is before one year of age since the bones are still very soft and easy to work with. Surgical intervention may be necessary at a much earlier age depending upon the severity of Craniofacial Deformity. In some cases, surgery may have to be performed in stages to obtain optimum results. Your child’s healthcare team will comprise of several health professionals (Craniofacial Team) with different expertise to assess and monitor your child’s progress as he/she grows up. The Craniofacial Team will educate you and your family on how to best care for your child at home, and will also outline specific problems that require immediate medical attention. It is important to note that Craniofacial Deformities do not exist in isolation and may be accompanied by other congenital abnormalities. Cleft Lip – The surgery for Cleft Lip is performed as a single procedure which also closes the nostril deformity. Bilateral Cleft Lip sometimes requires two surgeries. Depending on how extensive the birth defect is, surgery for Cleft Lip can take anywhere from 2 – 3 hours. Cleft Palate – This attempt at restoration of normal anatomy of mouth would hopefully enable your child to eat and speak properly over time. The operation to repair Cleft Palate may take 2 – 3 hours and your child will be required to stay in the hospital for 3 – 4 days. Hemangiomas – Hemangiomas can sometimes be quite disfiguring and may require treatment which may consist of steroid medications, embolization of blood vessels or removal by laser or surgical excision. Following surgical excision, your surgeon may perform Skin Grafting or use the technique of Skin Flap Grafting to reconstruct the damaged tissue. Vascular Malformations – Facial Defects due to Vascular Malformations can be treated either by laser therapy (capillary malformations or port wine stains), embolization (arterial malformations) or by direct injection of a sclerosing, (clotting) medicine (venous malformations). TMJ Ankylosis – Temporomandibular joint (TMJ) ankylosis is a pathologic condition where the mandible is fused to the fossa by bony or fibrotic tissues. This interferes with mastication, speech, oral hygiene, and normal life activities, and can be potentially life threatening when struggling to acquire an airway in an emergency. Trauma is the most common cause of TMJ ankylosis, followed by infection. Facial Clefts – A facial cleft is an opening or gap in the face, or a malformation of a part of the face. Facial clefts is a collective term for all sorts of clefts. All structures like bone, soft tissue, skin etc. can be affected. What Causes Face Defects / Deformities ? A child may receive a particular combination of gene(s) from one or both parents, or there may be a change in the genes at the time of conception, which results in a craniofacial anomaly. There is no data that shows a direct correlation between any specific drug or chemical exposure causing a craniofacial anomaly.However, any prenatal exposure should be evaluated. Folic acid is a B vitamin found in orange juice, fortified breakfast cereals, enriched grain products, and green, leafy vegetables. Studies have shown that women who do not take sufficient folic acid during pregnancy, or have a diet lacking in folic acid, may have a higher risk of having a baby with certain congenital anomalies, including cleft lip and/or cleft palate. To help meet your corporate social responsibility (CSR) goals, Trinity Care Foundation (TCF) can create specific project proposals for your organisation. Partner organisations could fund holistic treatment of, say, 30 TCF underprivileged children suffering with deformities of the face in India. Such projects will make CSR contribution targeted, making them simple to execute as turnkey CSR projects. ‘Promoting healthcare’ is an area identified under schedule VII of the Companies Act 2013 that is eligible to receive CSR funding either directly or through an implementing agency that has a track record. Trinity Care Foundation has been actively supporting critical community health for over 10 years, hence meets these requirements. Get in touch now and make Trinity Care Foundation your partner for promoting healthcare. For partnering with us to “Transform Smiles”, please get in touch with Mr. Binu Varghese at [ support@trinitycarefoundation.org ] +91 9880 35 8888 .